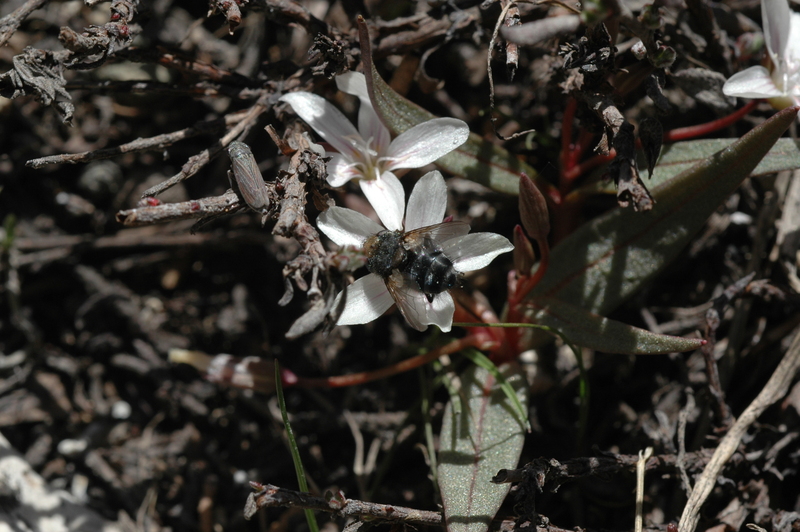 Hybridization — are generalist pollinators the key to success? 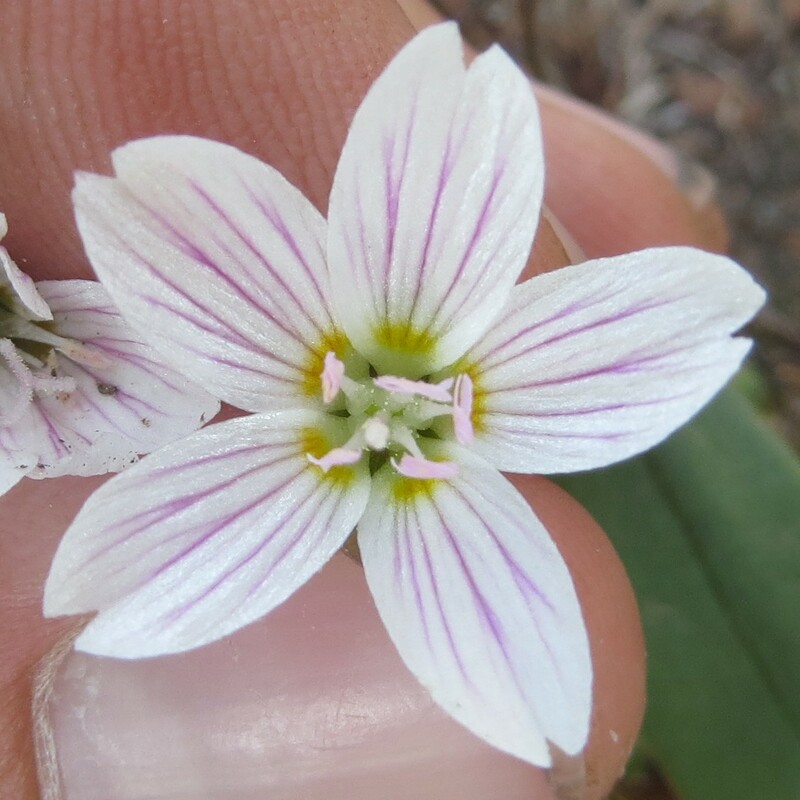 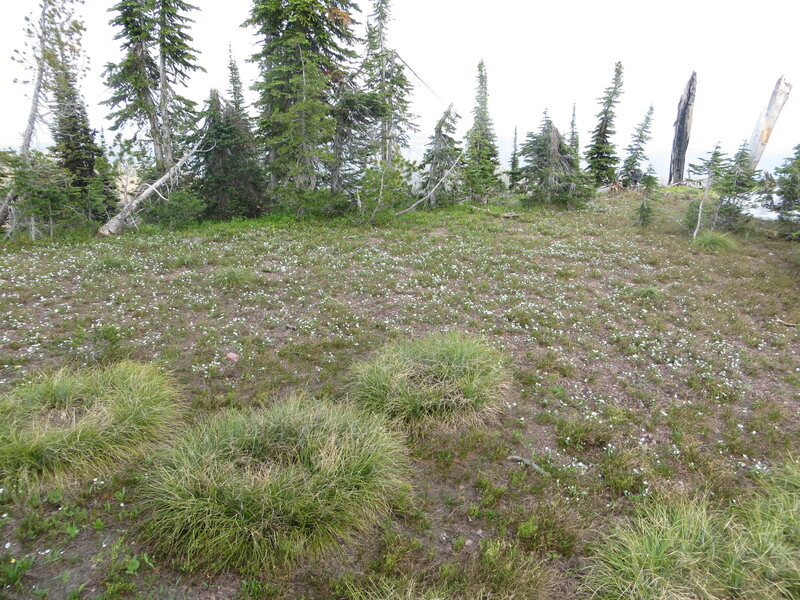 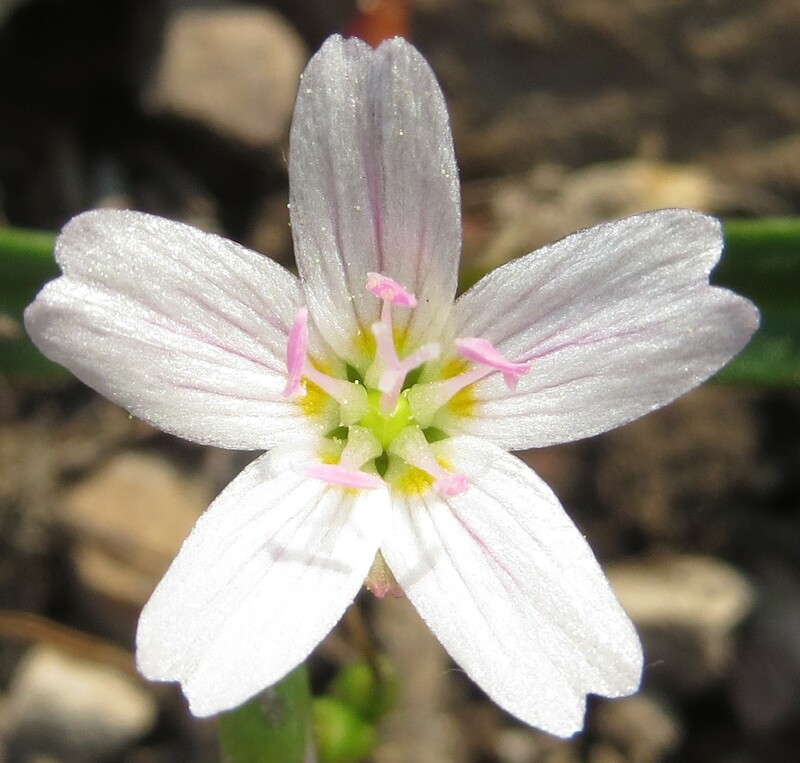 All I know is that multiple Claytonia species can occur in sympatry, and intermediate forms can be found in those areas. 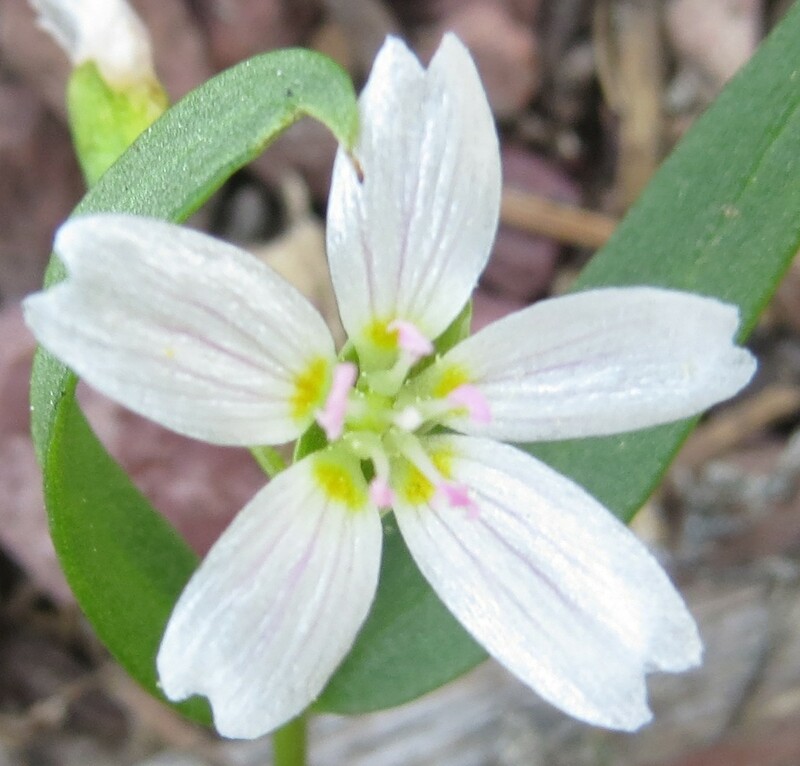 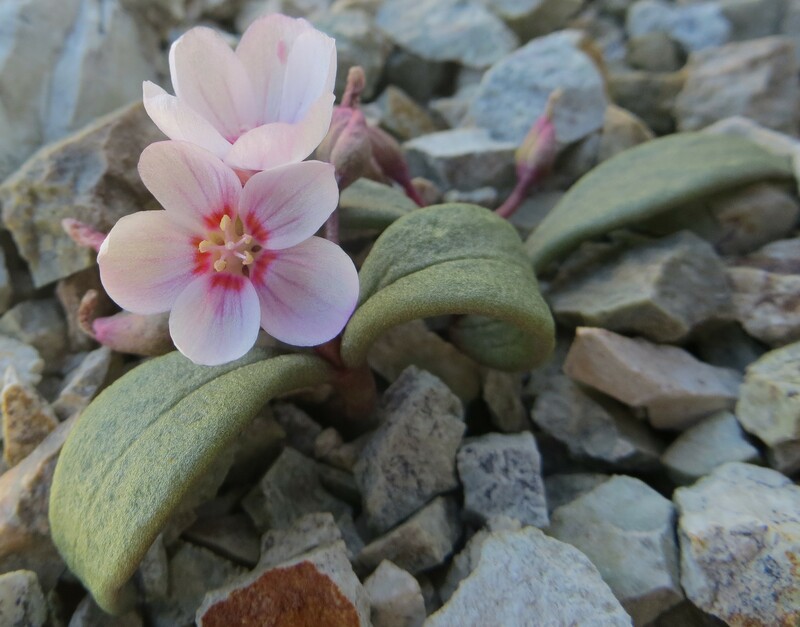 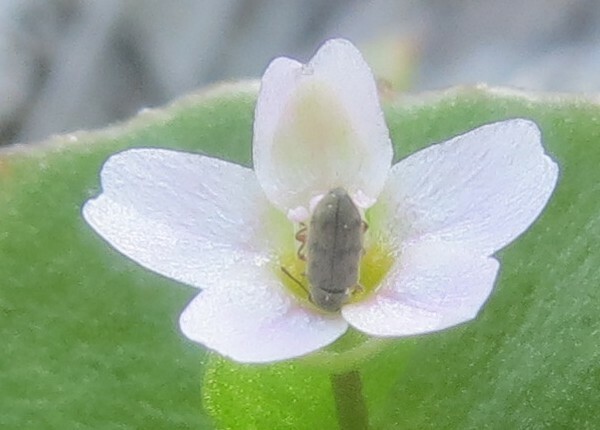 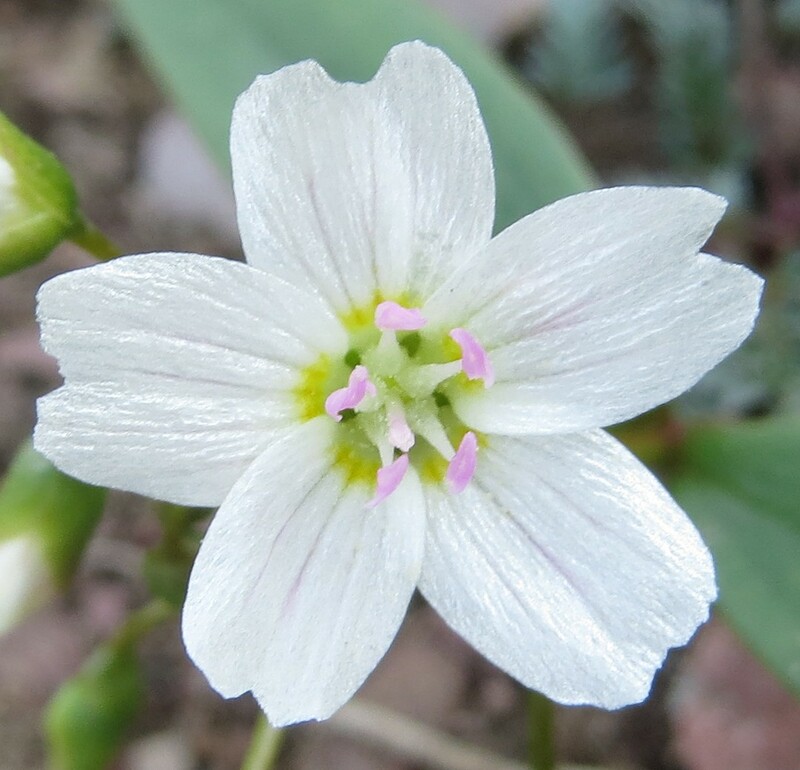 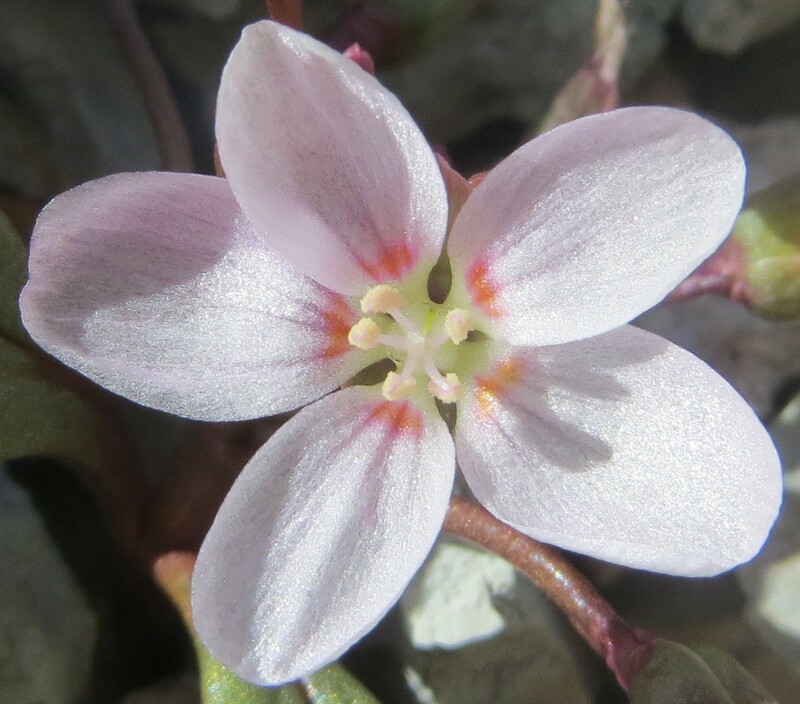 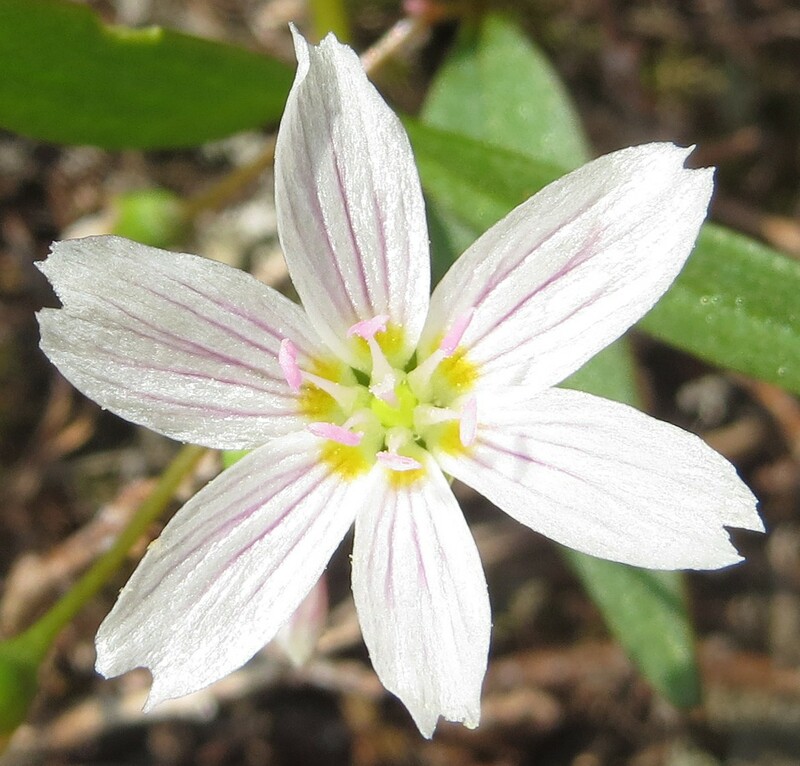 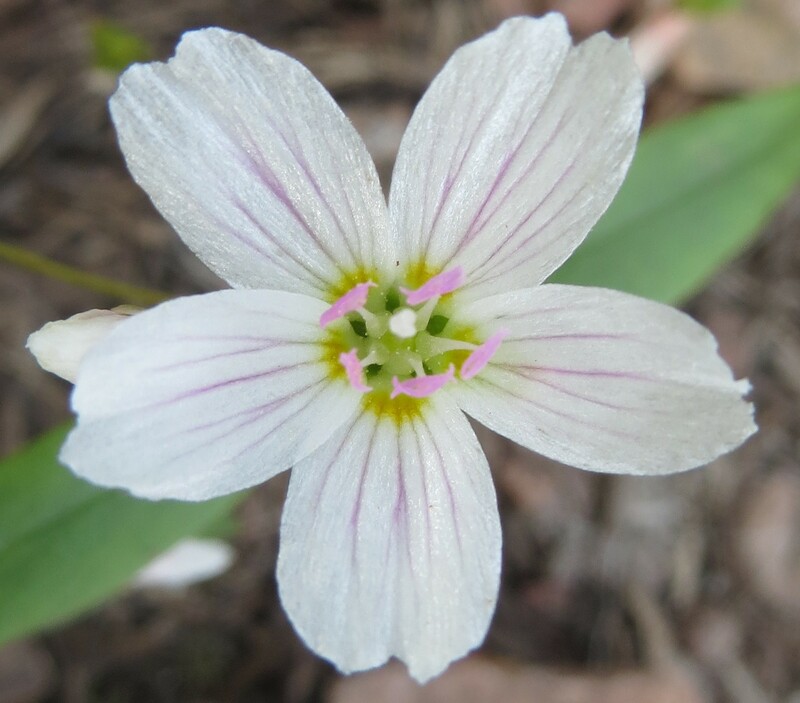 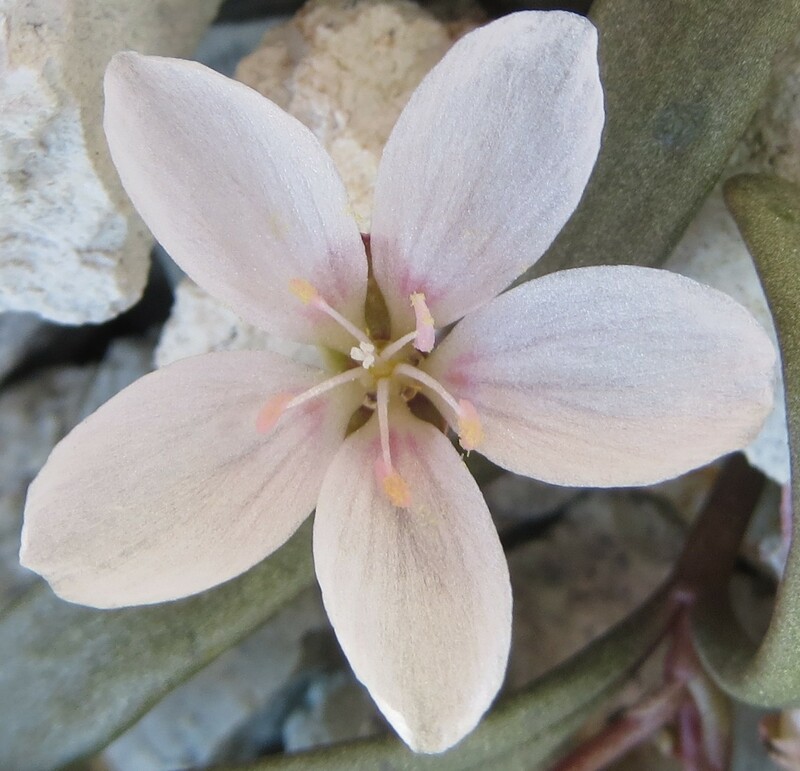 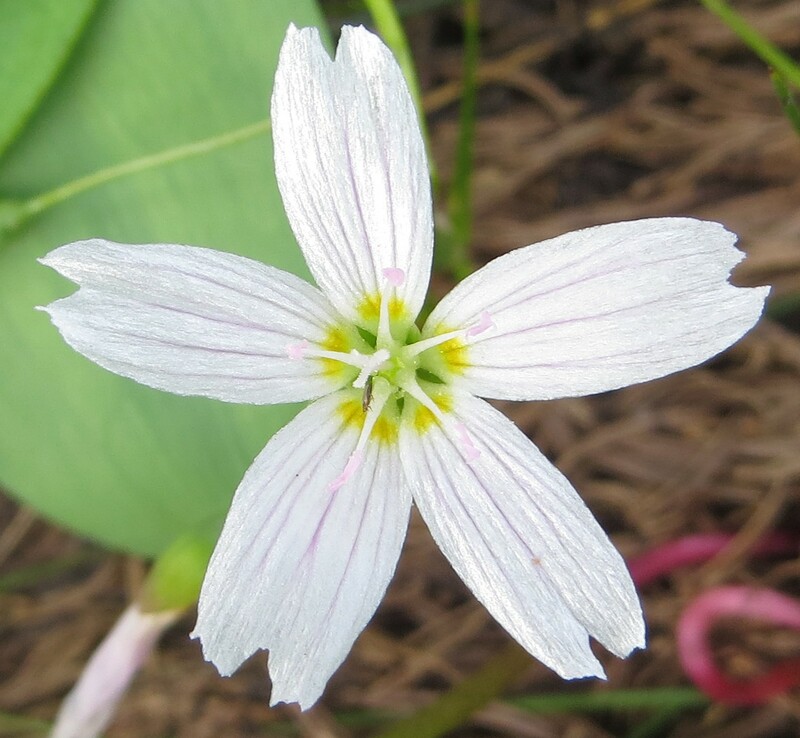 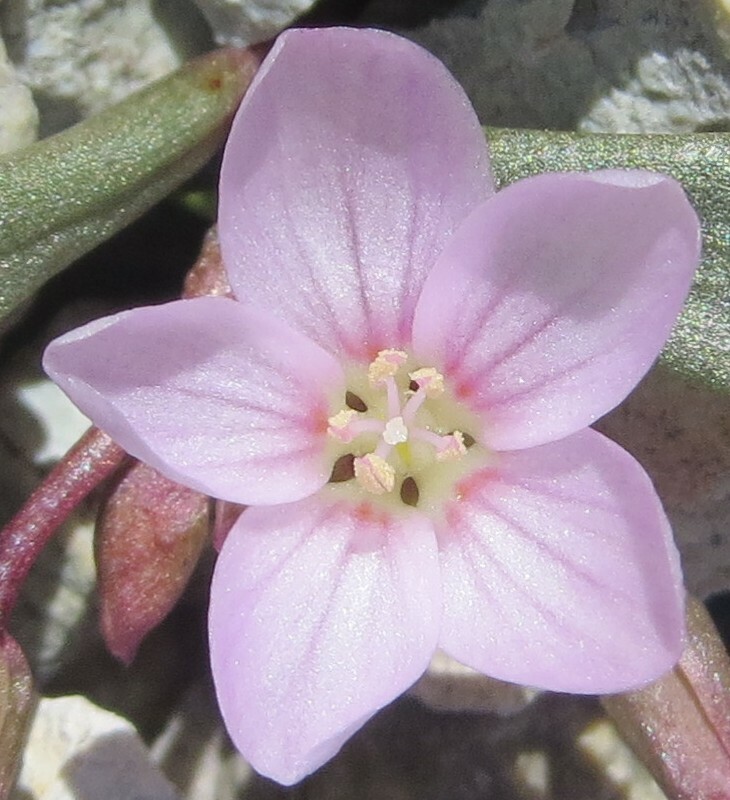 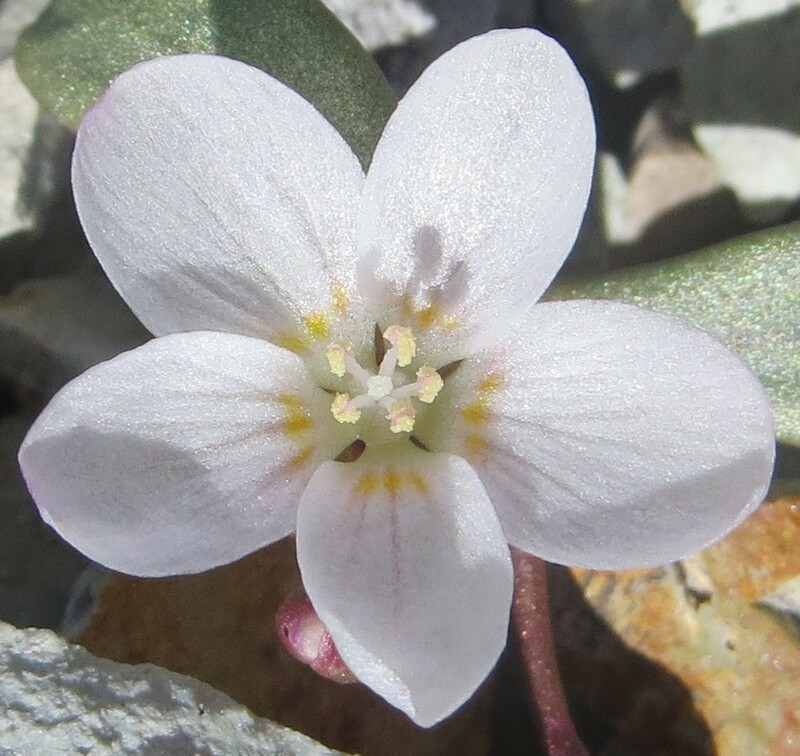 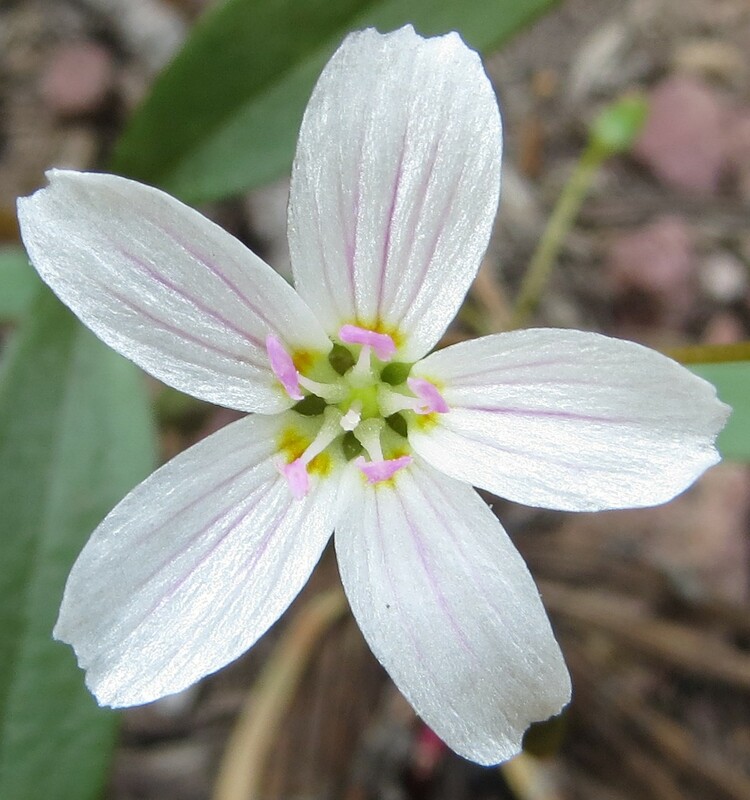 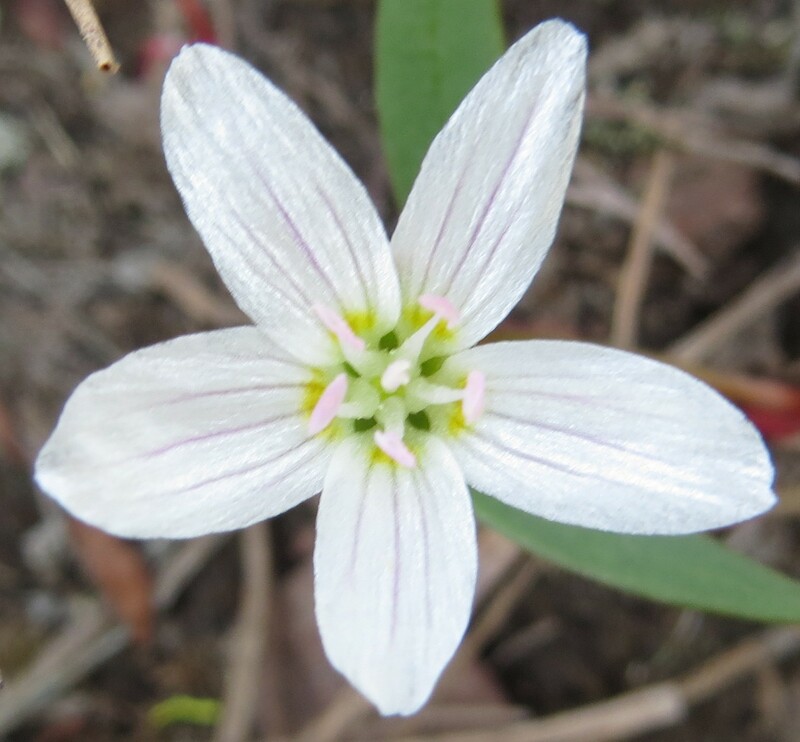 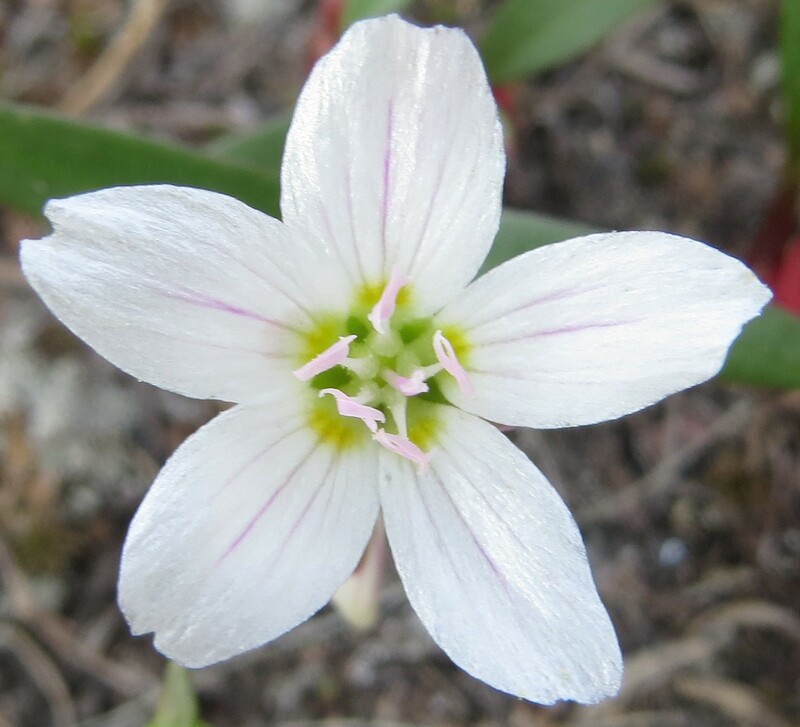 This is especially true of the annual species of Claytonia. 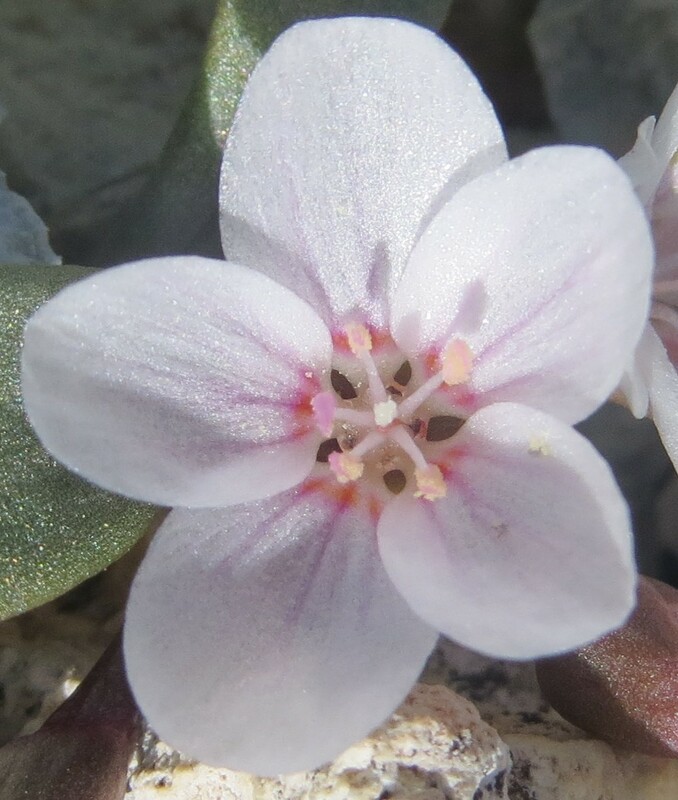 I haven’t observed putative hybrids among the annuals (i.e., the miner’s lettuces) and tuberous perennials (i.e., C. lanceolata species complex), although I have observed them sharing pollinators in southern California. 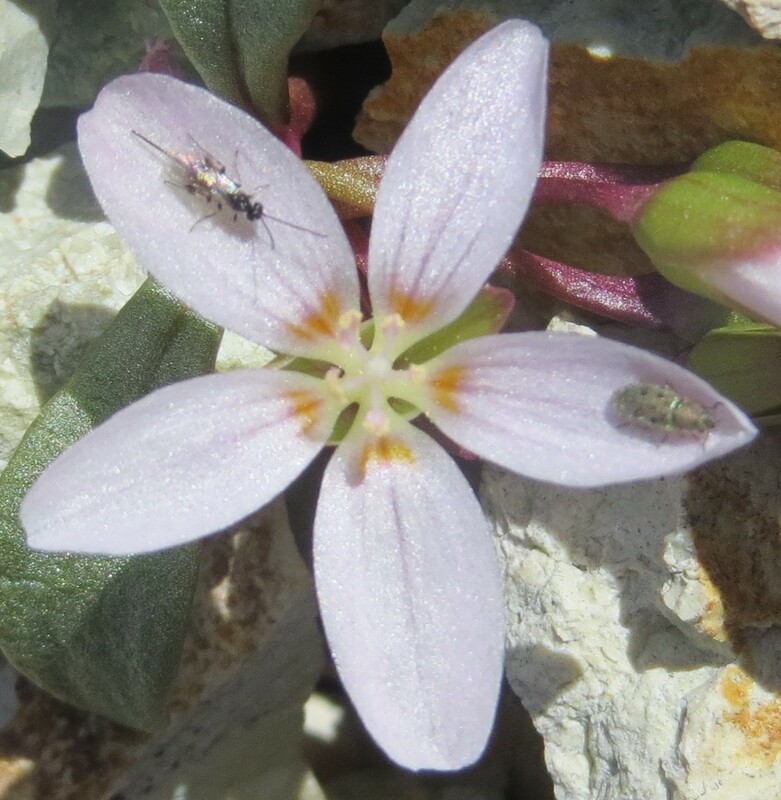 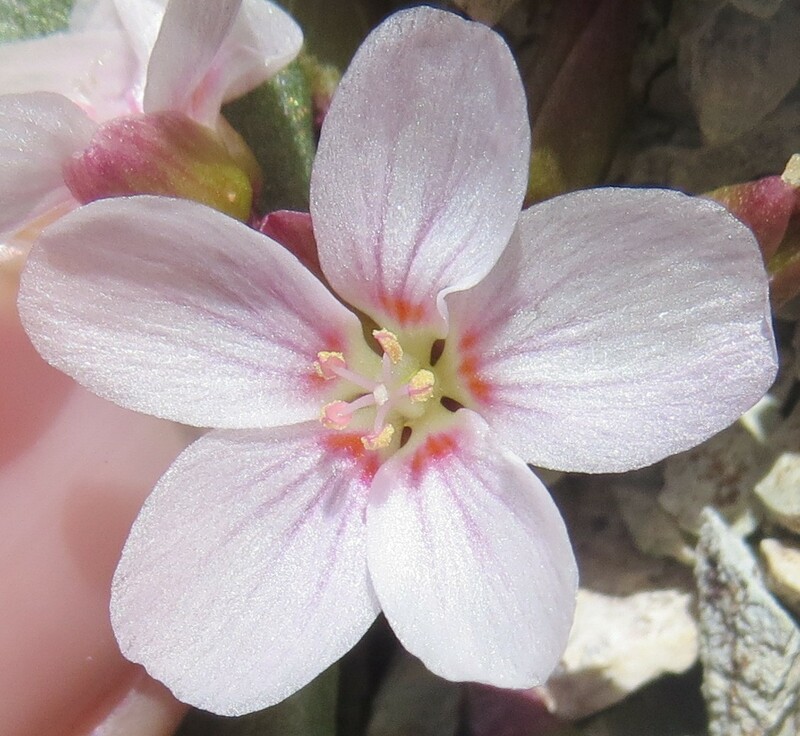 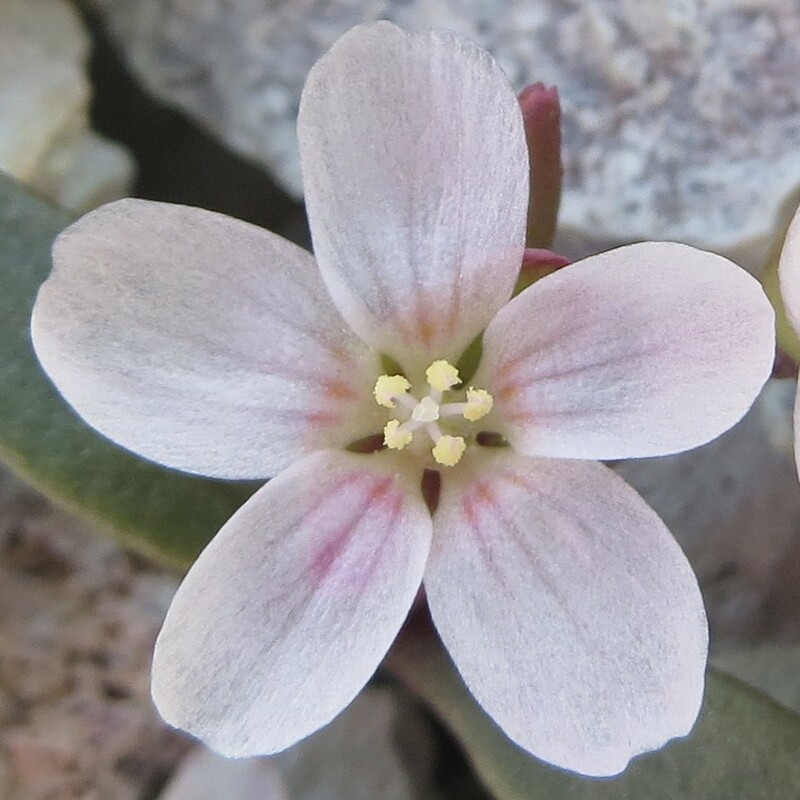 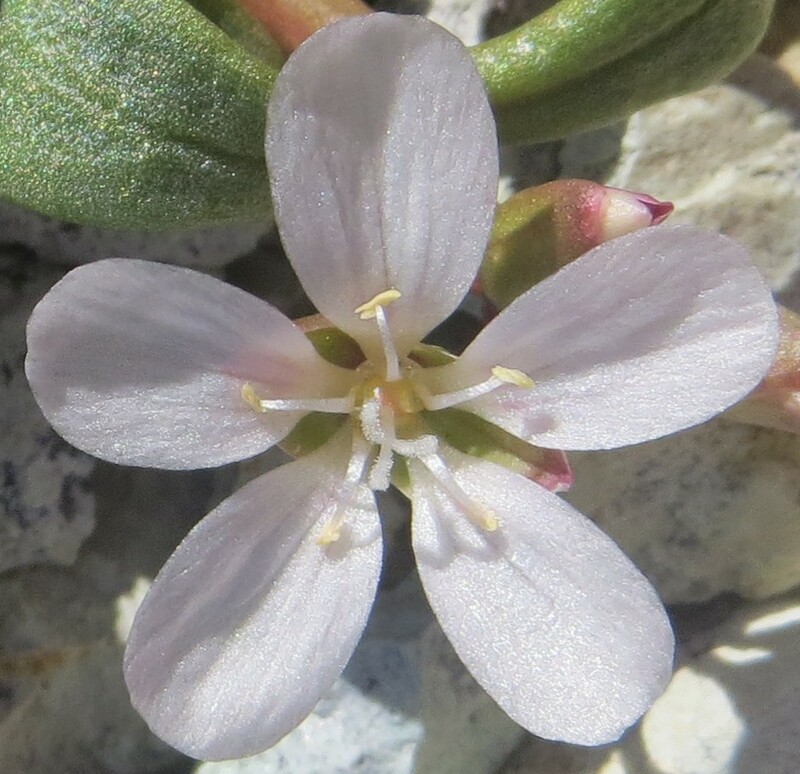 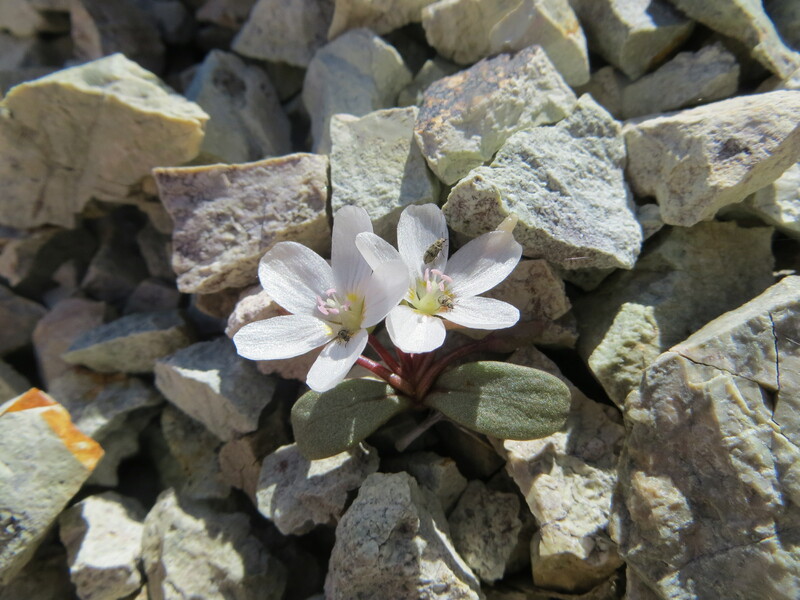 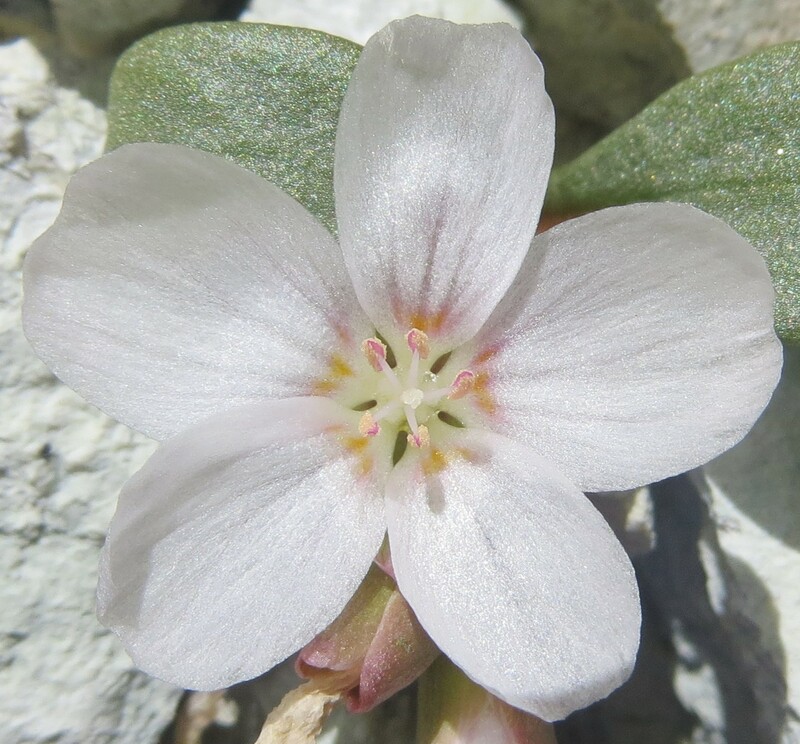 Pictured below are soft-wing flower beetles (Melyridae) visiting both C. rubra (section Limnia, first picture below) and C. “peirsonii“ (section Claytonia, second picture below) at the same location on the same day in the southern Sierra Nevada, California. 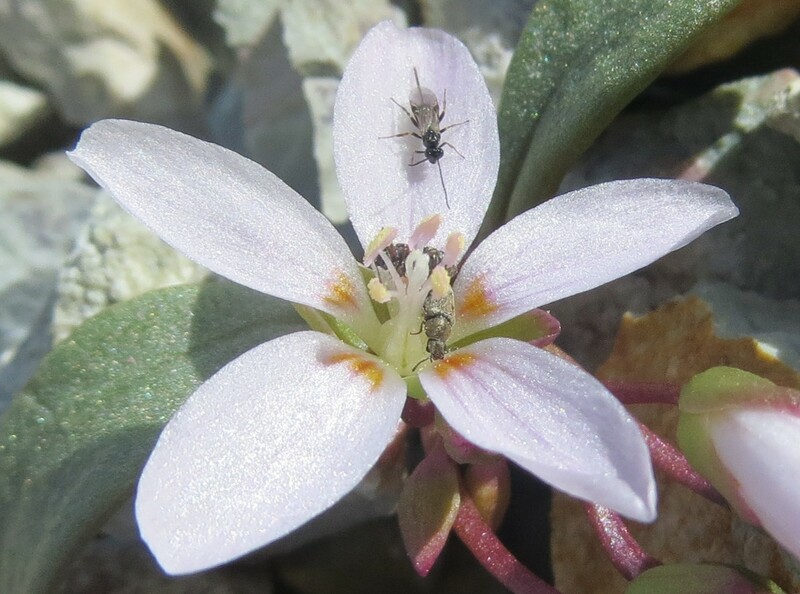 You might remember from one of my very first posts: these pollen eaters are quite effective pollinators.